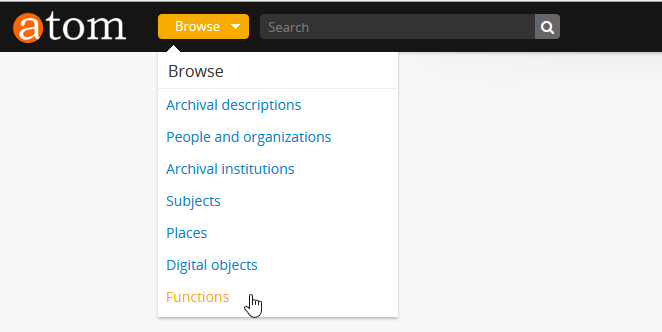 To help users locate and manage content, AtoM includes powerful search support, available anywhere in the application through the search box located in the AtoM header bar, or through one of the many dedicated search boxes for specific entities or record types. As of release 2.0.0, AtoM now uses Elasticsearch to power its search functionality - Elasticsearch is an open source distributed search server based on Apache Lucene, which acts as AtoM’s new search and analytic engine. 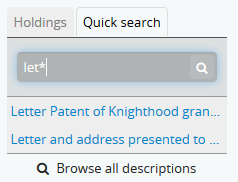 Search terms entered in the search box are, by default, searched with an “OR” operator - that is to say, searching for kitty cat would by default search kitty OR kat. AtoM supports a number of Boolean operators - see: Advanced search. 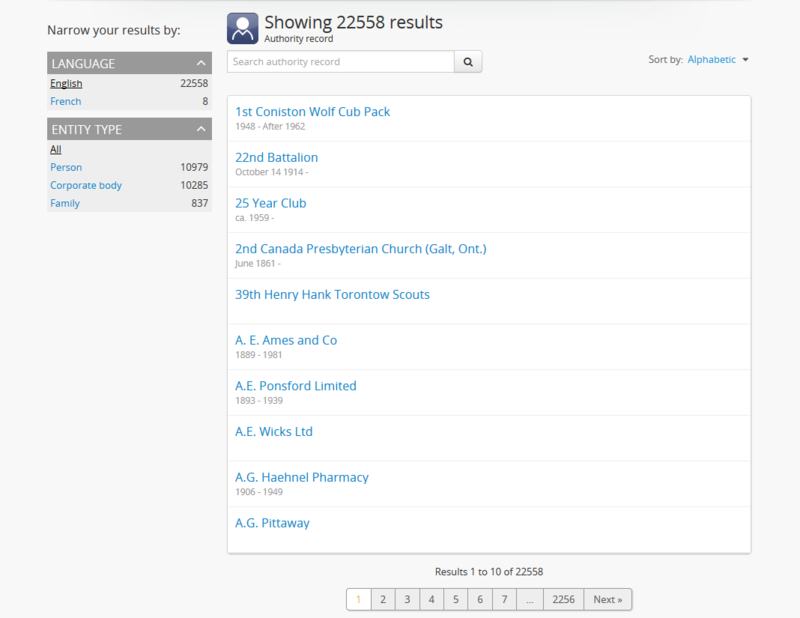 Some of these searches will return results from all (or most) data entry fields in the related records (i.e. 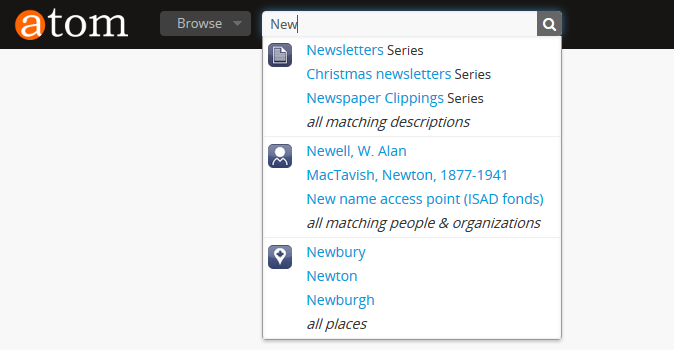 full-text search), while others are currently only configured to return title matches. Details on each are included below. 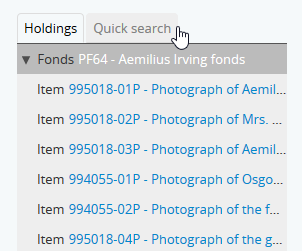 Dedicated search boxes that return more than just title matches currently include: authority records and archival institutions. 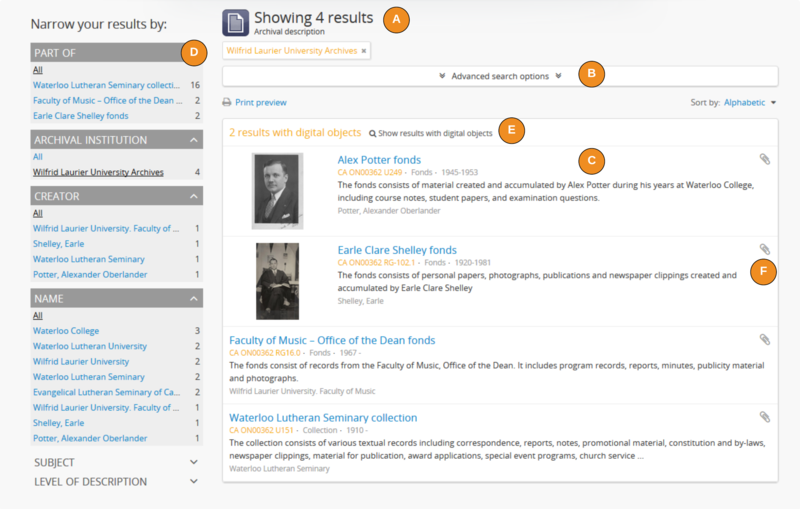 Note that in 2.2 these full-text search results have not been weighted to favor title matches, etc except for accessions. 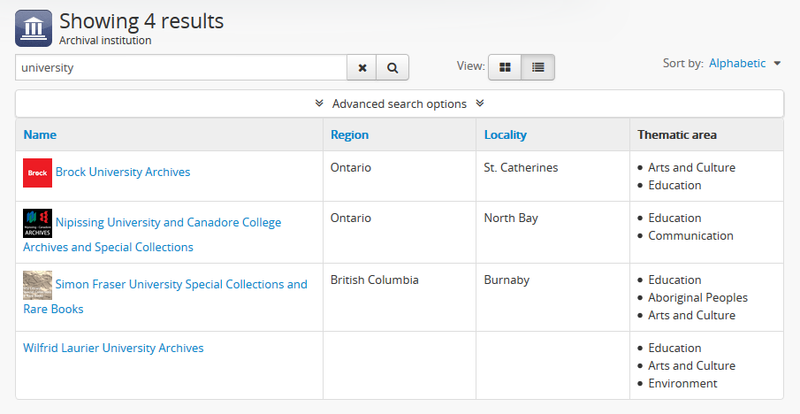 If you see results without matches in the title (or name), it means the search term(s) appears somewhere in the body of the record. Other name fields in the Identity area (Parallel forms of name; Standardized names according to other rules; Other forms of name) have not been indexed in AtoM 2.2. We hope to add this in a future release. 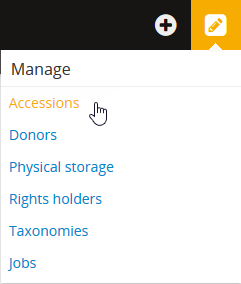 See above for a list of fields that AtoM will search in an authority record. In release 2.0.0, results have not been weighted to favor title matches. If you see results without matches in the title (i.e. 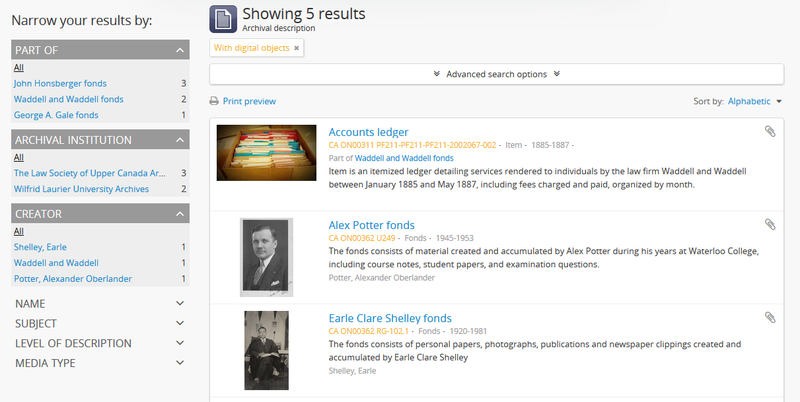 the authorized form of name), it means the search term(s) appears somewhere in the body of the record. 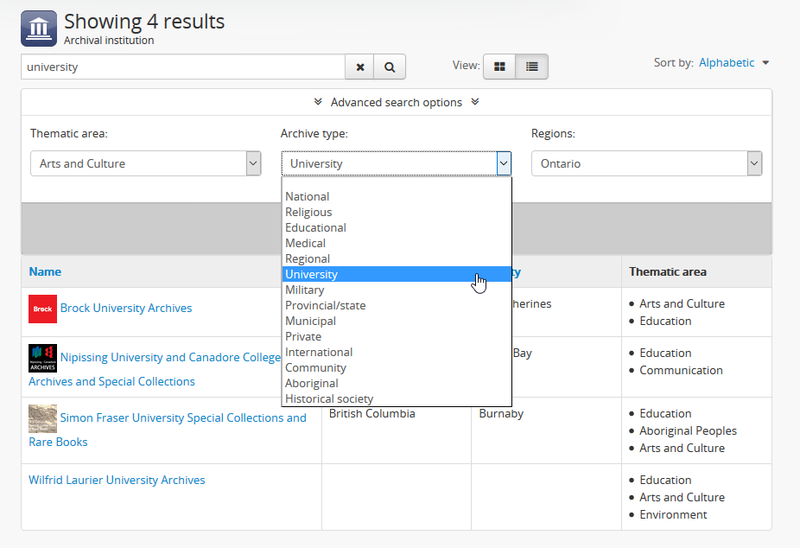 A dedicated search box for archival institutions has been provided on the archival institution browse page. 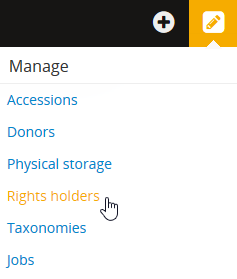 All fields are indexed, but as of AtoM 2.3 and earlier, no weighting has been added to specific fields. 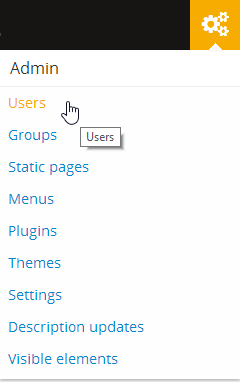 In AtoM 2.0.1, a dedicated search box for managing Users and user accounts has been added to the user browse page. 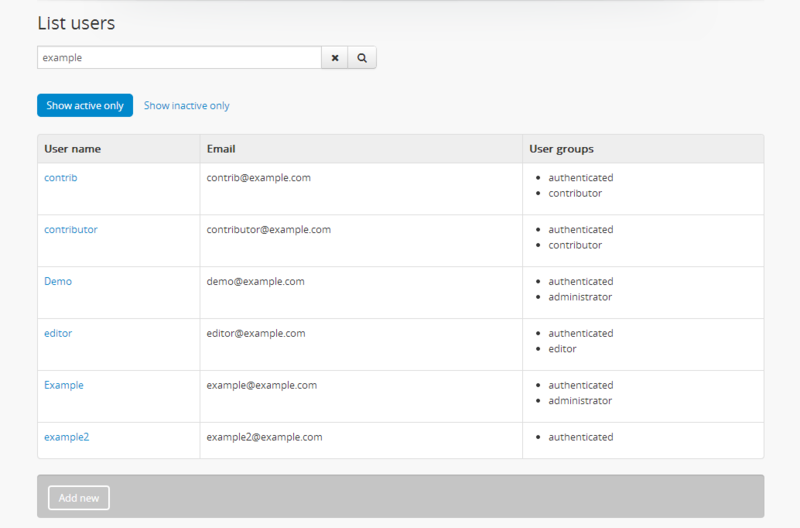 This search box will only return user name and email matches However, the search box is configured to return partial matches, so for example, a search for “ca” would return Names such as Cameron, Cal, and also Bianca, as well as returning any user with an email that ends with “.ca”. 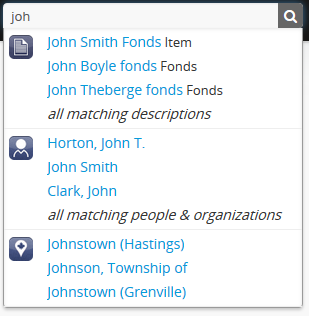 This allows the dedicated search box to be used as a navigational aid, allowing an administrator to quickly locate a specific user when there are many user accounts saved in the system (particularly in a multi-repository system such as a network or portal site). 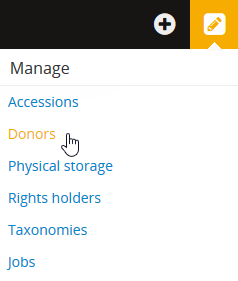 As of AtoM 2.1, a basic search of physical storage containers has been added to the physical storage module’s browse page. 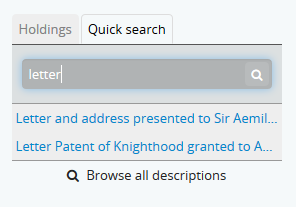 This search box will only return user container name matches. Note as well that special characters for Boolean search (e.g. the * wildcard or ~ fuzzy search characters) are not supported in this search box. 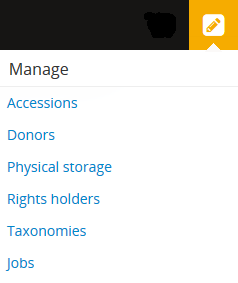 However, the search box is configured to return partial matches, so for example, a search for “Box 1” would return container names such as Box 10, Box 11, and Box 100, etc. This allows the dedicated search box to be used as a navigational aid, allowing an administrator to quickly locate a specific container when there are many containers saved in the system.